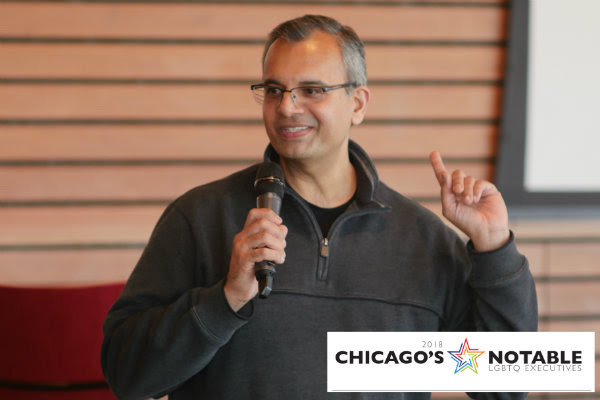 Silk Road Rising co-founder, Malik Gillani, was selected by Crain's Chicago Businessas a 2018 Chicago's Notable LGBTQ Executive. In this first-ever list by Crain's, the 88 LGBTQ featured leaders come from a wide range of sectors—finance, tech, nonprofits, media, the arts, and more. All have demonstrated that they are advancing their industries, workplace equality, and civic engagement in Chicago. In reflecting on this honor, Malik said: "It was incredibly difficult coming out to family and friends back in the '80's and '90's, but that act led me to more fully embody all of myself and give myself completely to my work. When people are forced to hide their identities, or when culture prevents individuals from being themselves, we miss out on the contributions they could be making. I'm so honored to be part of this list of exemplary LGBTQ leaders. These leaders inspire all of us to live our lives fully, and embrace our unique and beautiful selves."